Are you thinking of installing new flooring in your home? If you visit a home center, you can find dozens of options in every style and price. Unfortunately, the big home centers are short on knowledgeable people who can give you the advice you need. That’s why we’re here. What type of flooring is best for you? That depends on your situation. One of the primary factors to consider is the substrate you’ll be installing your new floor over. 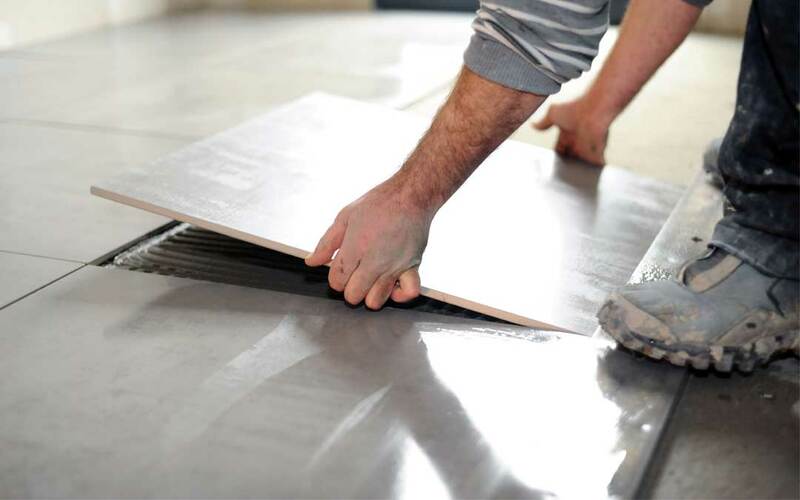 Here is our list of the top 6 flooring options to install over a concrete substrate. Laminate floors are individual boards made of multiple layers of plywood and plastic. Laminate floors can be made to look like anything from traditional wood floors to colors and patterns that mimic the look of tile or stone floor. Because they aren’t attached directly to the substrate and they are water-resistant, they are ideal for installing over concrete. Wood flooring has been popular for thousands of years. It is suitable for installing over concrete with a few considerations. Wood is a natural substance that is vulnerable to moisture. If you want to install it over concrete, you’ll need to install a plastic sheet to keep moisture away from your floor. If your substrate isn’t completely level, you can also put down pressure-treated lumber and plywood to build a flat, level surface. One option you may not have considered is rubber tile, but if you are looking for an inexpensive, easy to install option, rubber tile could be ideal. Rubber is soft and comfortable to walk on. Most of today’s rubber flooring is actually synthetic, and virtually waterproof. Rubber tiles lock together, making them easy to install. Carpet may not be the most obvious choice, but thousands of houses across the country actually have carpet over concrete. To install carpet, you’ll need a waterproof barrier and a layer of padding on top of your concrete. Ceramic tile is waterproof and suitable for wet areas like kitchens and bathrooms. If your floor is flat, stable and free of large cracks, you can lay ceramic tile directly over your concrete. A concern when it comes to ceramic tile is that it lacks insulation. Consider adding a rug to your ceramic tile basement floor to help warm up the floor. If your concrete is uneven, vinyl tile is a good option. Vinyl tiles can be installed directly on the concrete, or with a felt underpayment. Because it is completely man-made, vinyl tile comes in virtually any color and pattern you can imagine. Are you wondering what kind of floor you can install over your concrete substrate? The large home centers may have plenty of options to choose from, but they probably won’t have the knowledge to help you choose the best type of floor for your situation. We have all the flooring options you are looking for. Contact us today.